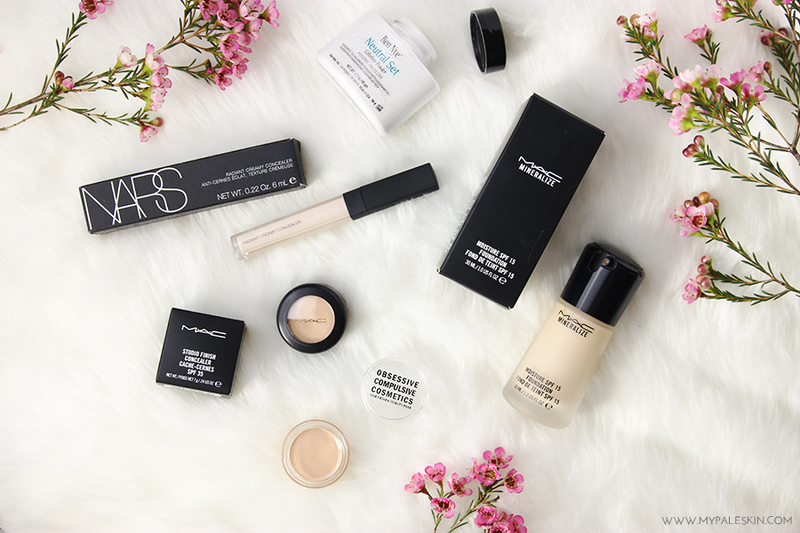 My Pale Skin: Base Product Haul! I've been wanting to switch up my base product routine for quite a while now and this week It would appear that I was on a bit of an accidental haul mission! It all started on Monday, when I had an important client meeting at work. I rushed to the other side of London in a cab with my boss, only to get there super early - which was super frustrating, especially as I left my phone in the office. Whilst walking to the meeting, and realizing how early we were - I noticed a Space NK, so popped in to get a new Nars Radiant Creamy Concealer.That counts as work right? Next up was Mac. On Tuesday whilst waiting for a colleague to arrive at Kings Cross Station, I popped into Mac. I honestly wish every train station had a Mac store... like can you imagine?? From Mac I bought the Mineralize Moisture Foundation in shade NC15 and also a Studio Finish Concealer in NC15. Finally, on Valentines Day, I headed over to Kensington High Street to do a weekly food shop in Wholefoods. On the way I passed the Guru Make Up Emporium which I'd heard so so much about online! I popped in and picked up the Ben Nye Neutral Face Set Powder. I really wanted the banana powder, but they only had it in pressed and I just wasn't feeling it, so I thought i'd start my Ben Nye collection off with a translucent powder. I also picked up the Obsessive Compulsive Cosmetics Concealer in Y0 because I'd been dying to try something from the brand for what seems like forever and thought a concealer would be a good place to start before I jump in to the lip tar world. So those are the base products I've bought this week. Have you tried any of them before? Would love to hear your thoughts! And if you wanted to check out a sneaky peek of the swatches - head on over to my Instagram! I really want to try the MAC Studio Finish Concealer! It's on my wish list for a while now (I'm just waiting to go the city to get my hand on it!). Can't wait to hear how you like these! Loved the style of this post. Can't wait to hear more about all the products. I've been edging towards a base products haul myself. I noticed I always buy in categories: lipstick, then concealers, then eyeshadows... I guess it's a system? I am super pale so no drugstore brands worked on me so far (I tried, even Dior and other high end ones, what a shame!) and boutique brands means buying online from overseas. It's A LOT of hit and miss on base products. For example, Bobby Brown worked shade-wise but my skin didn't like any of the formulas, and Laura Mercier is great, but Cream Ivory is just a tad too dark (lesson learned, always pick the lightest). I was thinking a mac product, but NC15 looks maybe too pink? I just don't know anymore. I have to confess, even if I do find my HG, I don't think I'll stop buying other brands and formulas . Retail sickness, right? :)I'm taking a chance and ordering Nars, Kevin Aucoin, and Becca next. My wallet weeps. i must be the only person that didn't get on with Nars sheer glow foundation, however, i must try out the concealer! Can't wait to hear your thoughts on the new Mac foundation, that shop in Kings Cross is dangerous, my sister couldn't get over the fact there was an impulse purchase makeup shop in a train station..! I've been wanting to experiment more with base products as well. You picked up some amazing looking things. 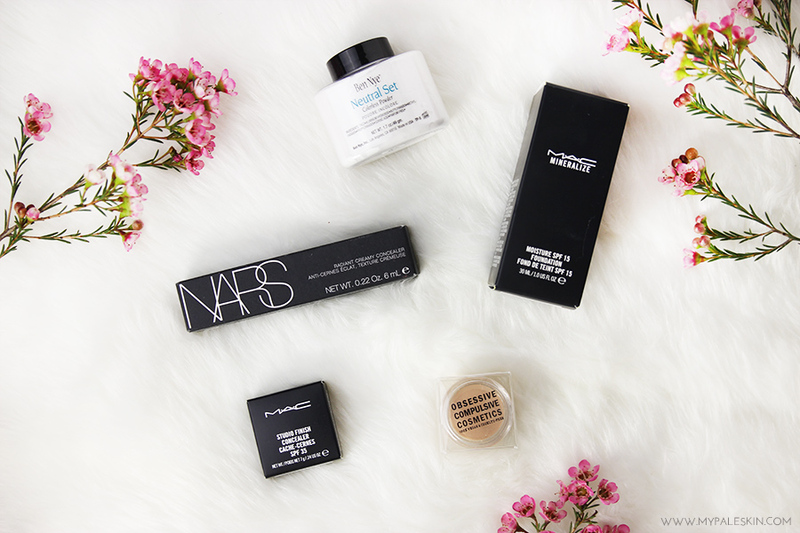 I really want to try the Nars Creamy concealer, I have heard so many good things about it :) great post! 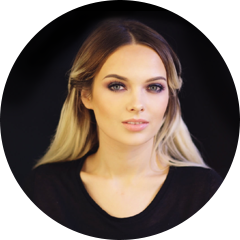 I really want to try the Obsessive Compulsive Cosmetics concealer and Ben Nye Banana powder. I'm thinking of trying the Nars creamy concealer after seeing so many beauty bloggers raving about it. Really hoping it lives up to the hype for me! El corrector es increible. Me encanta. De nuevo la fotografía impecable. I turn a fan of your blog! All of these make up products are amazing guys .